With the increasing concern over climate change, interpolated climate data have become essential for biological research and applications in forest management, conservation policy development, and infrastructure planning. Virtually every study in the field of climate change impacts and adaptations requires long-term climate baseline data (30-year climate normals), records of past climate variability (monthly historical data) and future predictions from Atmosphere-Ocean General Circulation Models (AOGCM predictions). Such data are usually not easily accessible at the appropriate resolution, in a consistent format, and for a comprehensive set of biologically relevant climate variables. The download links below provide access to grids of interpolated data 1km and 4km resolution, as well as software packages to query point locations. We provide historical climate normal periods, decadal averages, annual, seasonal and monthly data from 1901-2013 as well as multi-model climate projections for the 2020s, 2050s, 2080s on the pages below. We also calculate a large number of derived variables of economic or biological relevance, such as drought indices, growing degree days, heating and cooling degree days, frost-free periods, etc. All together, more than 20,000 spatial coverages of climate variables can be downloaded and/or interactively queried for individual locations. 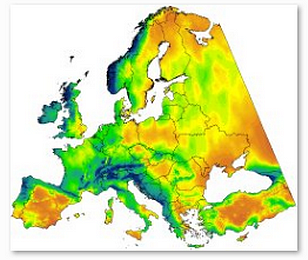 For the most up-to-date data, software, and derived variable algorithms, use the ClimateNA, ClimateSA, and ClimateEU packages and grids below. These databases include the latest PRISM baselines, CRU-TS3.22 historical data, and CMIP5 future projections. We also maintain a well-tested version of ClimateWNA with the well-regarded CRU-TS2.1 historical data and CMIP3 projections with useful climate grids. Although they have been superseded by CMIP5 projections, the two generations of AOGCMs yield remarkably similar resutls (see Knutti and Sedlasek 2012). If you are working within Alberta, we recommend the ClimateAB software package that takes advantage of many more local weather station records that are not publicly accessible. Wang, T., Hamann, A. Spittlehouse, D.L. and Carroll, C. 2016. Locally downscaled and spatially customizable climate data for historical and future periods for North America. PLoS One 11: e0156720. Hamann, A. and Wang, T., Spittlehouse, D.L., and Murdock, T.Q. 2013. A comprehensive, high-resolution database of historical and projected climate surfaces for western North America. Bulletin of the American Meteorological Society 94: 1307–1309. Wang, T., Hamann, A., Spittlehouse, D.L. and Murdock, T.Q. 2012. 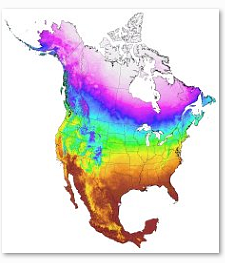 ClimateWNA - High-resolution spatial climate data for western North America. Journal of Applied Meteorology and Climatology 51: 16-29. Mbogga, M. S., Hansen, C., Wang, T. and Hamann, A. 2010. 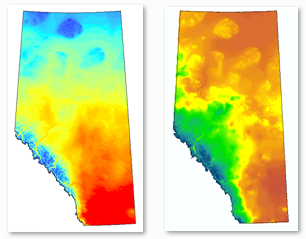 A comprehensive set of interpolated climate data for Alberta. Government of Alberta, Publication Number: Ref. T/235. ISBN: 978-0-7785-9184-9 (on-line edition), 978-0-7785-9183-2 (print edition). Mbogga, M., Hamann, A. and T. L. Wang. 2009. Historical and projected climate data for natural resource management in western Canada. Agricultural and Forest Meteorology 149: 881-890. Wang, T., Hamann, A. Spittlehouse, D. L., and Aitken, S. N. 2006. 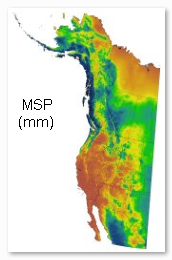 Development of scale-free climate data for western Canada for use in resource management. International Journal of Climatology 26: 383-397. .
Spittelhouse, D.L. 2006. ClimateBC: Your access to interpolated climate data for BC.Streamline Watershed Management Bulletin 9: 16-21. Hamann, A., and T. L. Wang. 2005. 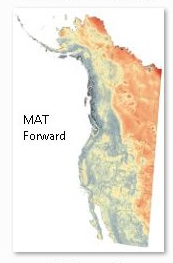 Models of climatic normals for genecology and climate change studies in British Columbia. Agricultural and Forest Meteorology 128: 211-221. Alberta Environment. 2005. 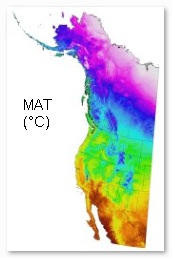 Alberta Climate Model (ACM) to provide climate estimates (1961- 1990) for any location in Alberta from it geographic coordinates. Publ. No. T/749. Alberta Environment. 35 pp. 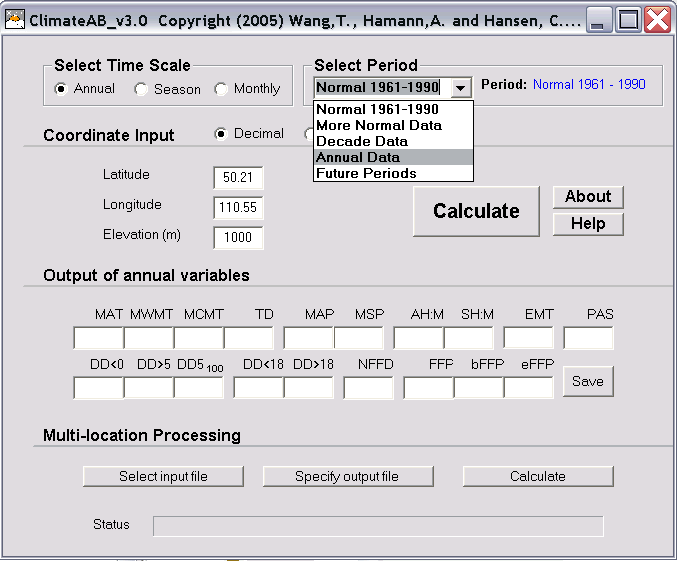 The user can input latitude, longitude, and elevation (optional) to generate up to 50 monthly, seasonal, and annual climate variables, including various chilling and growing degree days, frost free period, snow fall, dryness indices, etc. In addition, the user can generate or query thousands of spatial data coverages for historical time periods and future predictions, through time scale and time period selection from hierarchical drop down lists. The multi-location processing function can be used to process spreadsheets of coordinates or digital elevation models. It is not practical to generate and distribute gridded climate data at very high resolution. A typical gridded GIS data set with 10,000 observations for British Columbia at the resolution of 10km would have 100 million observations at 100m resolution. Few users can handle such data sets, yet such accuracy is often needed for temperature related climate variables to determine, for example, the conditions of a sample site on a mountain slope in forestry research. To solve this problem we use medium resolution climate data (2.5 arcmin or approximately 4km) and a software solution to build a local and temporary scale-free climate model on top. 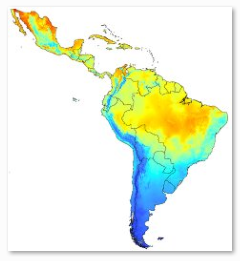 This model is mainly driven by the elevation difference between a location of interest and the elevation used to calculate the climate variables of the medium resolution data set at this point. 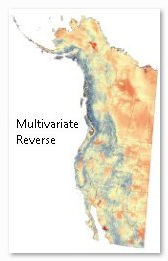 GIS coverages of climate variables are generated from a high-resolution DEM in a two-step process: by elevation adjustments (left to middle) and by bilinear interpolation to remove tile artifacts (middle to right).